There was a pause on the downside action yesterday, the small caps were flat, SP500 up 4 points, and the Nasdaq led by $FB, $AMZN, $AAPL, was up +.48%. Breadth was still on the negative side, while the indices were flat to up 1,426 stocks registered new 1-month lows. Typically, spikes in 1-month lows lead to short term bounces that are followed by a lower low on the indices. 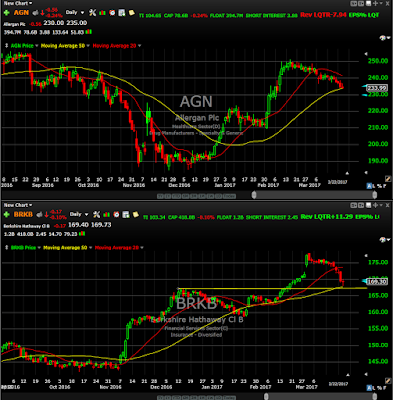 I have a few names on my watch-list today; $LJPC, $AGN, $BRKB, $HAL. 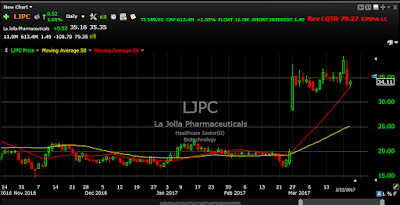 $LJPC on 2/27 announced positive top-line results from a phase 3 study, the stock surged 90% the next day. What’s interesting is that five different insiders picked up 105k shares in the open market after the stock made the huge move. 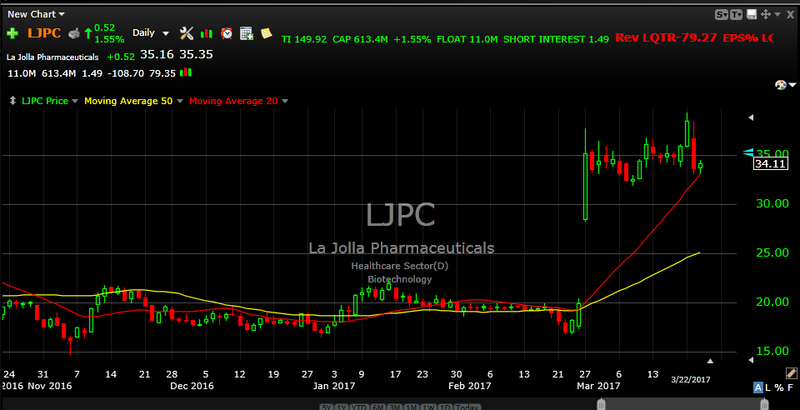 I like this stock if and only if it can get through yesterday’s high. 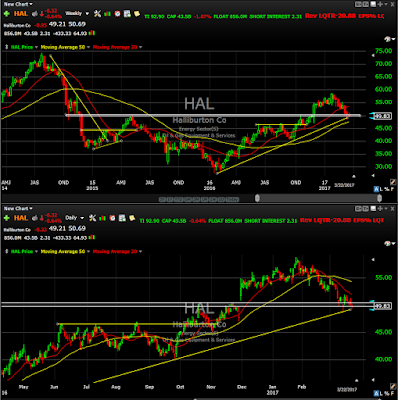 Oil was the first sector to lose momentum, the sector peaked in December and has pulled back a little more than 10%. Over the last few days, the downside momentum has eased and a few oil names like $XOM, $CVX, have shown some stabilization. I mentioned $XOM as a possible character change play with the 10-20 day moving averages now acting as support after acting as resistance for 57 trading days. 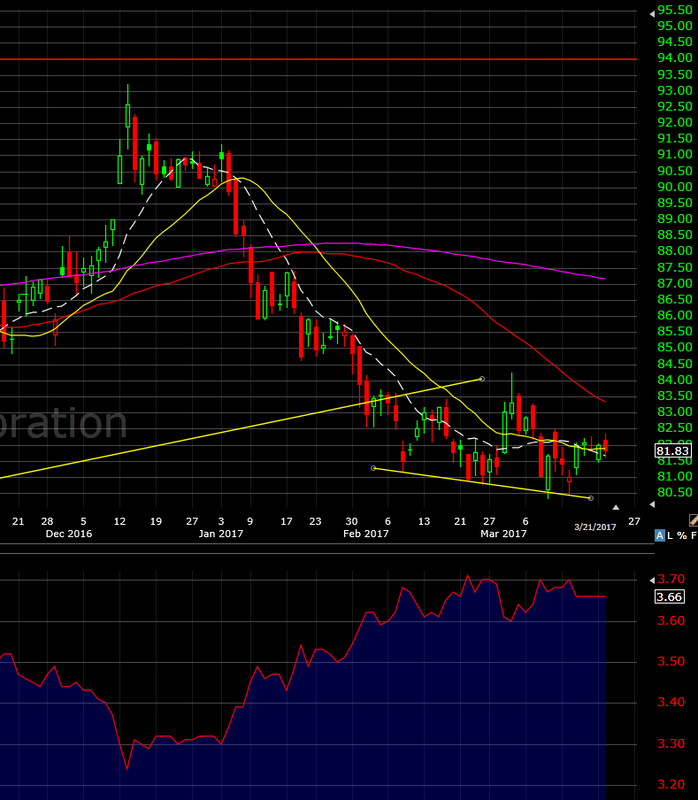 $XOM also sport a decent yield. 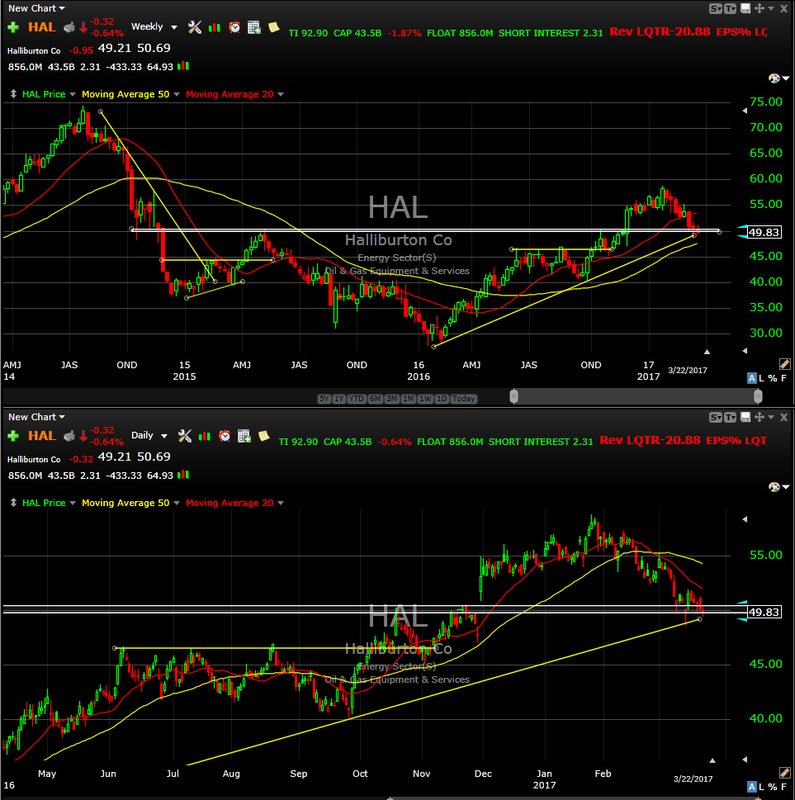 But today I’m also focusing on $HAL, the stock has pulled back to potential weekly support, and on the daily, it has been down for 5-days in a row. 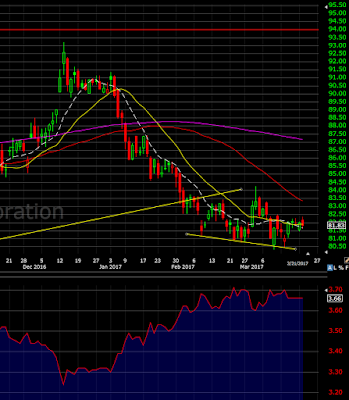 I have an interest in the stock if it can get through yesterday’s high. 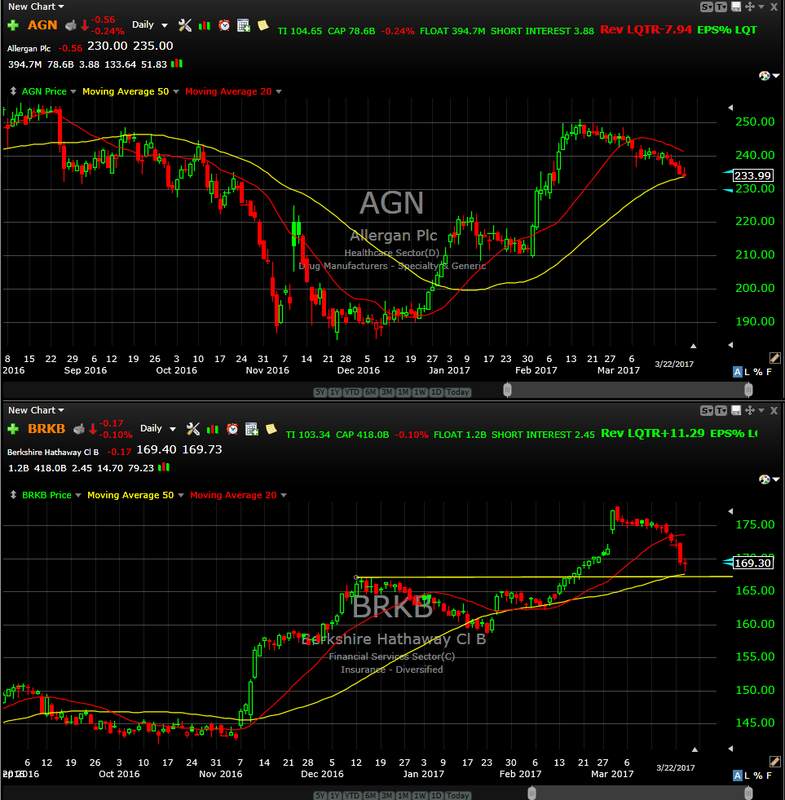 $AGN and $BRK.B two stocks down multiple days in a row that are down to potential support levels, I have an interest in both stocks if they can get through yesterday’s high.